Upon arriving to work this morning we were alerted to a turtle that was on a local fishing boat, the fishermen allowed us to purchase the turtle for TOP30. Though we do not like paying for turtles as a means to preserve them unfortunately this is often the only way we can secure a release. The small green turtle was in a very healthy condition luckily and only had 3 minimal scratches from possibly being in the boat. We brought it back down to the waterfront and Kate came over to take measurements and to tag the turtle with flipper tags. The green measured 47.5cm in length of the carapace or shell and although the minimum catch size is 45 cm we are currently in the closed season for hunting. 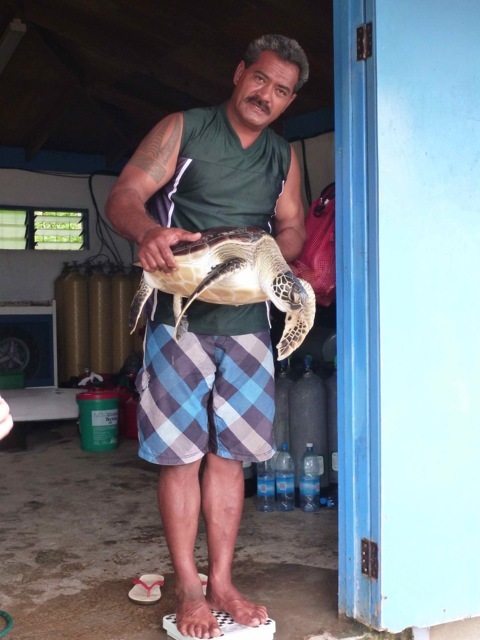 The Vava’u Turtle Monitoring Project aims to reduce the illegal catches of turtles such as this one through community assistance and education. 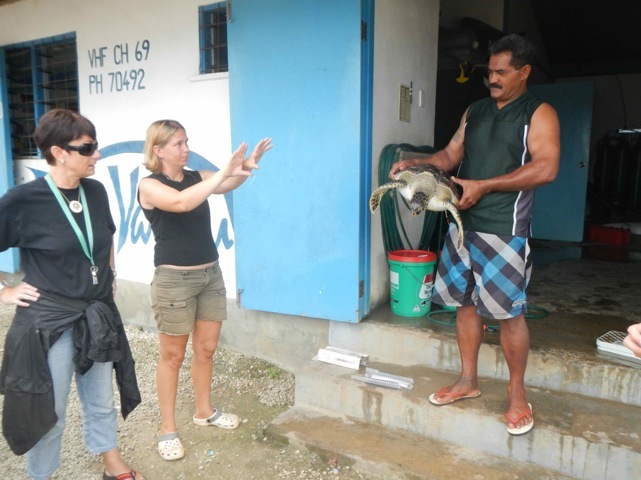 This program is running alongside of VEPA and VEPA will continue its work to raise awareness and rescue turtles as we can. Once the turtle had received its 2 flipper tags, it was whisked off back to the ocean and near some sea grass beds, which is the main food source for green turtles. At 47.5cm this turtle is not yet sexually mature and sexual identification is hard to determine, turtles will disappear from the nest to the open ocean and float around until they come back to shore at approx. 20cm (dinner plate size though I hate using that term as a marker!). The estimates of sexual maturity range between 20-30 years old and this turtle had quite a way to go before reaching that stage. 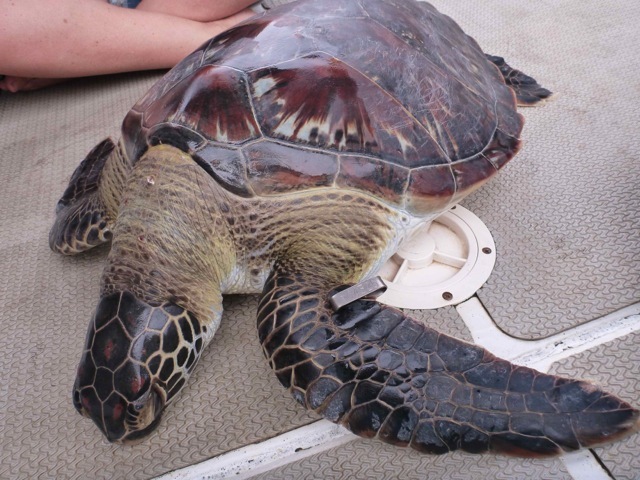 The tagging of this turtle enables us to monitor if it is caught or seen again, and the information is passed along to the pacific database. The turtles are about to begin their nesting season here and between the VTMP and VEPA we hope to successfully engage communities to recording and establishing data with us. 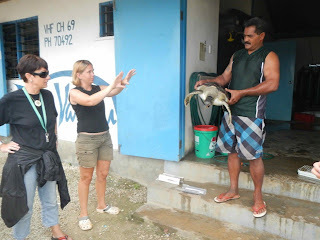 This will work towards the goal of reducing catches and egg taking and turning towards turtles as an income source for communities through eco-tourism. I know my turtle naming may seem a little out of whack, but keeping a sense of humour is one of the most important things to get where we need to with conservation.